Yesterday(December 6th) Ariana Grande and Ashley Graham wore different CHRISTIAN SIRIANO looks to Billboard's 13th Annual Women In Music Event at Pier 36 in New York City. 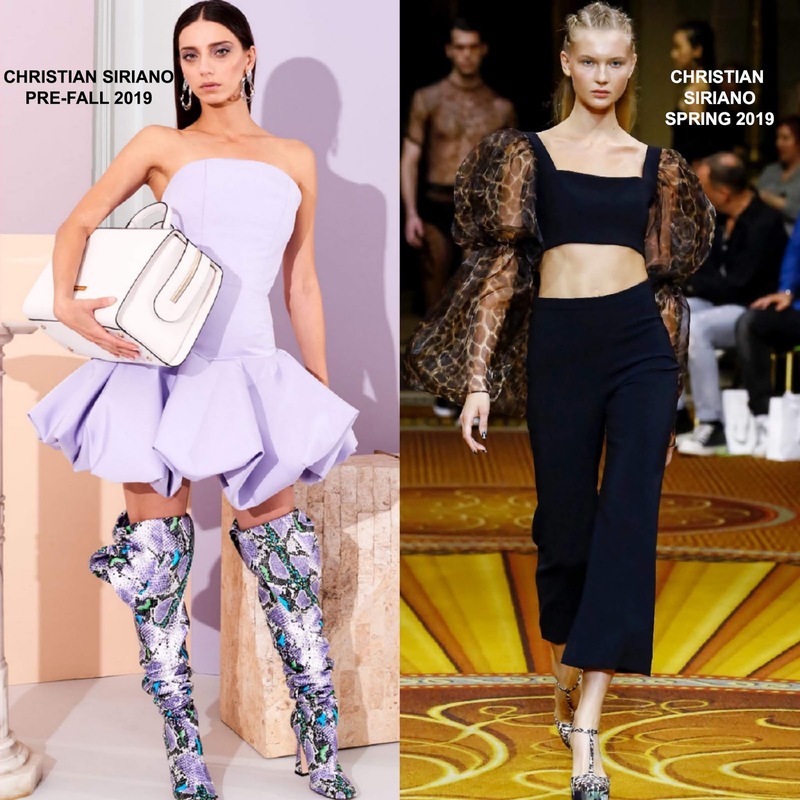 Ariana Grande wore a PRE-FALL 2019 lavender strapless mini dress, featuring a structured bubble skirt, which she teamed with what seems to be her favorite LE SILLA boots. Ariana's exact dress wasn't featured in the look book but it was shown in a similar, version. For me, I actually prefer the look book version, especially with the boots. Ashley Graham opted for a SPRING 2019 black crop, organza bustier top with sheer trumpet leopard sleeves and black flare crop trousers. While this ensemble is not a bad look on the model, I actually like it more on Ashley.